Dreams from My Father: A Story of Race and Inheritance is a memoir by President-elect of the United States Barack Obama. 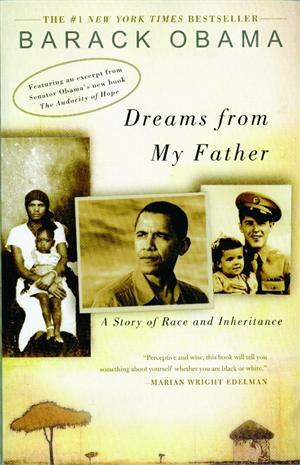 It was first published in 1995 after Obama was elected the first African-American president of the Harvard Law Review, but before his political career began. The book was re-released in 2004 following Senator Obama's keynote address at the 2004 Democratic National Convention (DNC); the 2004 edition includes a new introduction by Senator Obama as well as his DNC keynote address.